Traditional songs combined with original material. 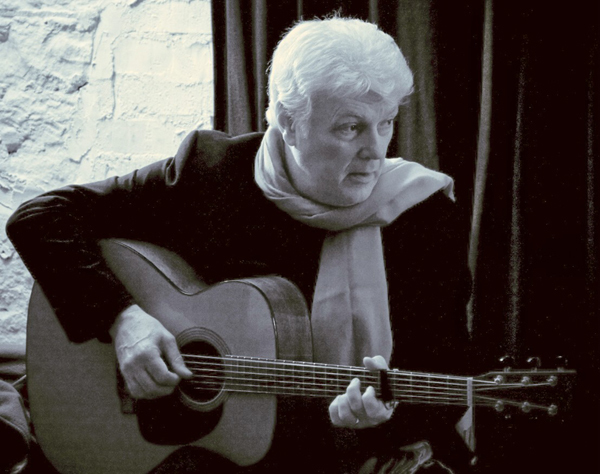 As well as being a fine guitar player, Bill Adair is one of Scotland's busiest and most respected singer/songwriters. Combining influences from folk and blues, Bill's music addresses universal themes of love, work, loss and redemption. Equally at home singing a traditional Scottish ballad, blues from the Mississippi Delta, or one of his own songs, Bill's performances are complemented by a natural story-telling style that is both thought-provoking and entertaining. From his home base near Glasgow, Bill is much in demand at festivals and folk clubs all over the UK, and also has a reputation as an interpreter of the poems and songs of Robert Burns and performs at Burns Suppers throughout the country. In September 2008 Bill released Along The Miners' Rows. The CD was specially commissioned, written and recorded to commemorate the 50th anniversary of the Auchengeich mining disaster, and features a range of songs written by Bill including "Along The Miners' Rows" and "The Day That All The Lights Went Out". April 2010 saw the release of Bill's second album, Dusty Boots on a Gravel Road, which contains both new songs by Bill and some fresh interpretations of works by Robert Burns, Ewan MacColl, Billy Edd Wheeler and Robin Laing.